This database contains the most up-to-date information on the original material housed at the Archive. The collection contains over 7,000 cans of film, tape and other media - all of it relating to Tamworth and New-England NorthWest. The SearchBox at the top of the page will search the entire eHive system and will return an extraordinary amount of results. The Search box below will search just the the Tamworth Archive database. You may need to narrow the number of items returned by using search operators (AND, NOT, OR) in the search box. alternatively, you can use the + and - symbols. To search items within a range of dates, use the dates inside a pair of square brackets. Old Black Stump - this will search for the words Old or Black or Stump. "Old Black Stump" - this will search for exactly this term. The results may not return the image or movie as the collection has yet to be completely digitised. The results will contain an OBJECT NUMBER which allows us to find the original item here at the Archive (see map below). Equipment donated by people like you enables us to play and digitise the various formats - equipment like 8mm and 16mm film projectors, U-matic, VHS video or audio tape machines. 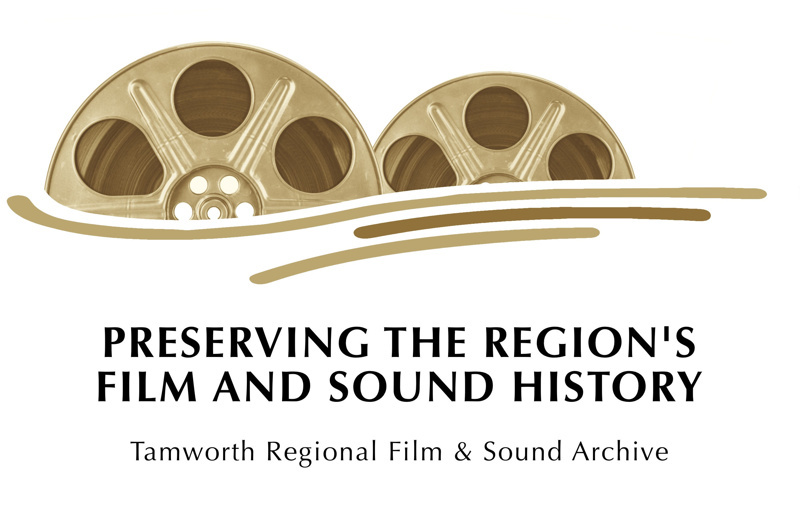 We work closely with the National Film and Sound Archive in preserving the region's film and sound heritage. We are always on the lookout for new volunteers to help us catalogue and research our collection. If you know some local history or have the ability to operate film projectors, tape machines, record players, computer, video equipment, we need your help. The work is interesting and rewarding. Use the email or the Facebook link. ...or just come in next Tuesday. "calala cottage" "cinema advertising" "tamworth historical society"